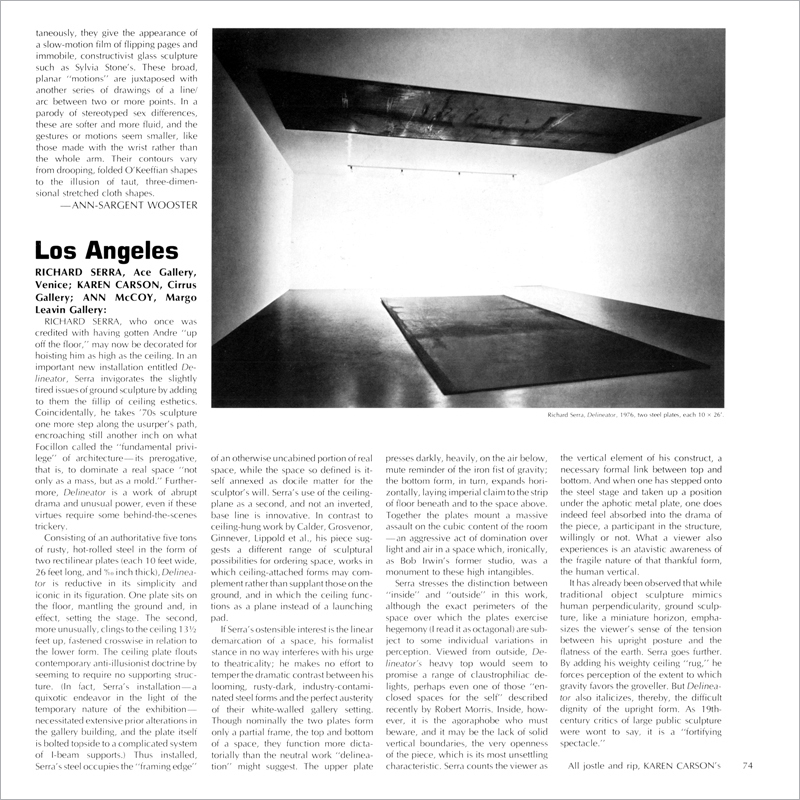 Richard Serra, who once was credited with having gotten Andre “up off the floor,” may now be decorated for hoisting him as high as the ceiling. In an important new installation entitled Delineator, Serra invigorates the slightly tired issues of ground sculpture by adding to them the fillip of ceiling esthetics. Coincidentally, he takes ’70s sculpture one more step along the usurper’s path, encroaching still another inch on what Focillon called the “fundamental privilege” of architecture—its prerogative, that is, to dominate a real space “not only as a mass, but as a mold.” Furthermore, Delineator is a work of abrupt drama and unusual power, even if these virtues require some behind-the-scenes trickery.